In podcast episode 74, we’re joined by Orryelle Defenestrate-Bascule, “a prolific visual, sonic and textual artist-magickian. The instruments of his arts and magicks include, but are not limited to: Australia’s Metamorphic Ritual Theatre Co. which presents public rituals aiming to transform rather than merely entertain the audiences.” Orryelle explains how the act of creation is Magickal from an artist’s perspective. 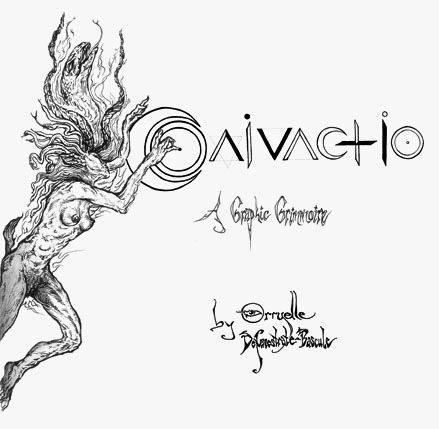 Our conversation touches on the recently published graphic grimiore, Conjunctio, and presentation at the Esoteric Book Conference, the importance of working in the physical plane, aesthetics, art, beauty and transformation, including body modification. Orryelle also discusses the art of ritual performance, world wide travels to sacred sites, and even some thoughts about 2012. 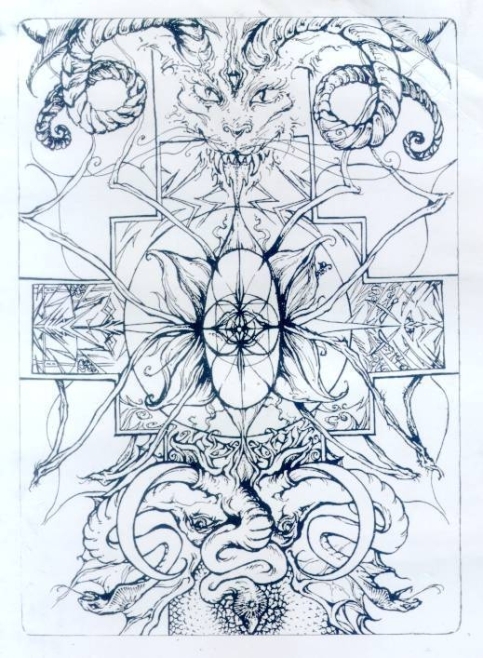 Orryelle is extremely creative in many mediums, including poetry, art, music, theater, Magick, Alchemy, and self-transformation. Our conversation provides a bit of insight into Orryelle’s unique Work. “Conjunctio” by Orryelle Defenestrate-Bascule, available via Fulger Ltd. I enjoyed this interview with Oryelle so much. I heard the voice of an intensely intelligent, widely read and deeply thinking man. He sounds so very down-to-earth and yet so ready to trip off the planet at the slightest provocation. I agree wholeheartedly with his thoughts on aesthetics vs. functionality (for its own sake); I have always admired his artwork and his Tarot deck is among the favourites and most cherished in my collection. I look forward to the day when he makes it to the western side of our great continent with his performance art.